The Wayside Inn is on the Wayside Inn Road off the Boston Post Road (Route 20) in south Sudbury. 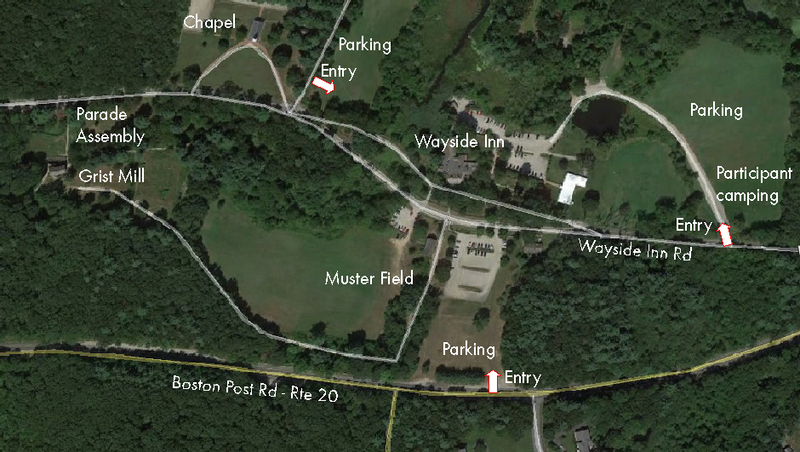 Parking is available in three areas, entered off The Wayside Inn Road service road, Route 20 itself, and Dutton Road. Participant camping is off the service road. The parade will assemble at the Grist Mill.